Choosing the right fence can be quite the task. Not only are there numerous options on the market – wood, vinyl, aluminum, steel, and chain link – but there are also numerous factors to consider as well, including environment, maintenance, curb appeal, and, of course, budget. Last week, we explained the benefits of chain link fencing for baseball fields and backstops. These fences are not only incredibly durable, but also incredibly affordable. And they are more attractive than most people give them credit for. These same benefits make chain link an excellent, economical option for cost-conscious Northern Virginia homeowners who want a quality fence without breaking the bank. As Virginia’s largest fencing company, Hercules Fence knows a thing or two about fences. And we know a new fence can be a daunting financial commitment. Fortunately, being Virginia’s largest fencing company has its benefits. Hercules Fence is able to buy our fencing products at a price that will afford you value to complement our quality. That’s what we like to call a win-win. Please take a moment to browse our many residential fence offerings. As we have already mentioned, chain link fences are very Affordable, perfect for the cost-conscious homeowner. Chain link is also incredibly Durable, which is why so many dog owners love these fences. They do their job and stand up to the constant jumping and other abusive behavior your dog can throw at them. One of the best benefits of chain link fences is the fact that they are Low Maintenance. No painting or staining required. Just sit back, relax, and enjoy your new fence. A new chain link fence also provides exceptional Security. 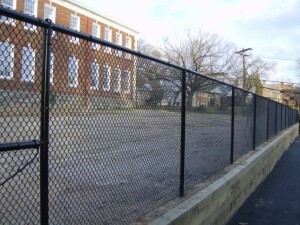 Hercules Fence has been providing chain link fence installation throughout Northern Virginia since 1955. 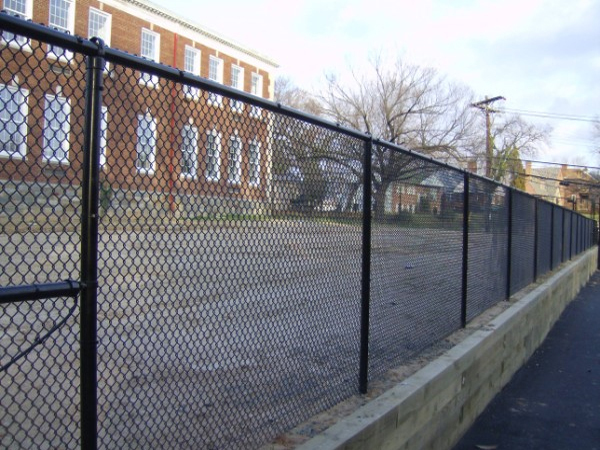 If you have any questions about Chain Link Fencing, please contact Hercules Fence, the largest residential fence company in Northern Virginia, by calling (703) 551-2609 or visiting our website. Also, check out Hercules Fence of Manassas on Facebook, Twitter, Google+ and YouTube! This entry was posted on Tuesday, July 22nd, 2014 at 5:32 pm. Both comments and pings are currently closed.